As of this month Meredith Wisner is Barnard's full-time Art & Architecture Librarian and the library's copyright, fair use, and scholarly communications guru. 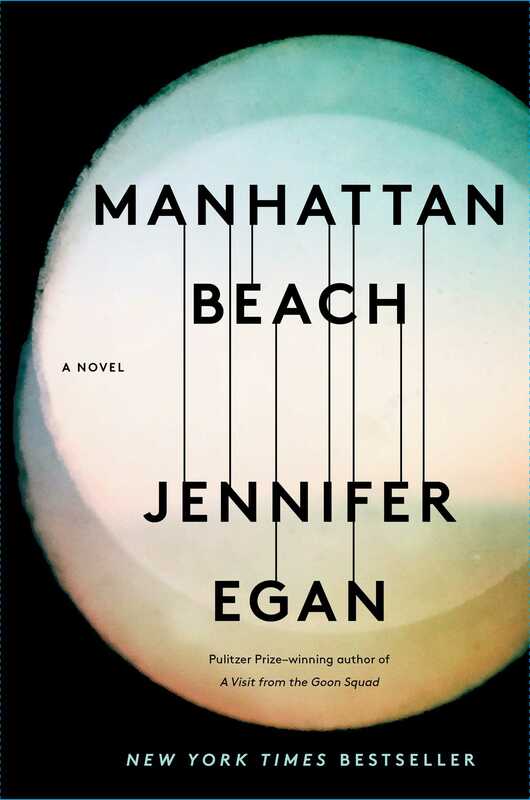 But when Meredith was part-time, she had a few side gigs, including serving as bestselling author Jennifer Egan's researcher for her forthcoming novel Manhattan Beach. Here is a mini-interview with Meredith about her experience working with Ms. Egan. How did you meet Ms. Egan? How did you get the job? I met Jenny at the Brooklyn Navy Yard, where I worked as archivist and registrar for the Navy Yard museum, BLDG 92. She had been involved in a longstanding oral history project with Brooklyn Historical Society, which documented women who had worked on the Yard during WWII, so our connection really came from that her early research for the book. My first assignment related to what would become Manhattan Beach happened while I was still at the Yard in fact. Jenny had some preliminary questions about how the Yard functioned during the run up to the US involvement in WWII, and I pointed her toward primary and secondary resources that I typically consulted as part of my job. Based on my responses she asked if I would be interested in helping her with this research in a more official capacity. I am not sure if she was looking for a librarian or archivist specifically, but I will say the skills I honed as a librarian earned me that job! The great synchrony of my research with Jenny was unearthing the stigma faced by working mothers at in the 1940s after having experienced some of those same challenges as a working mother myself. Of course I took this job because it was an opportunity to contribute to an amazing project, but I also took it because Jenny offered me a great deal of flexibility, and demonstrated real appreciation for the work that librarians do. I am so grateful for having had this opportunity, and saddened by how little has changed in the last 75 years. How did you do the work? Almost all of the work I did for Jenny was done remotely. We corresponded via email and through a shared drive. She would send me topic specific questions and I would go about answering them in narrative form and then provide citations for her to follow up with if she needed or wanted to. I conducted a little readers advisory as well when I came across a book that I felt captured the question at hand in a concise or readable way. I also put Jenny in touch with folks who could better answer her questions (as all good librarians do!). David Favaloro, Director of Curatorial Affairs at the Tenement Museum is one that comes to mind. There were so many experts involved in this process, and so many large and small archives that helped along the way. Can you share an interesting tidbit you learned while researching the book? The overarching challenge of doing research for a novel is not only getting the facts down, but finding the texture of life around a particular question. So, without spoiling anything, one of Jenny's questions concerned how women in this period balanced work and motherhood, and the ways in which American society was forced to adjust with so many fathers out of the picture. I tackled this question a number of ways, but among my favorite resources was Louise Zabriskie's Mother and Baby Care in Pictures from 1941. I loved it so much I bought a copy for myself, which I keep in my office at Barnard. Zabriskie was a practicing nurse, and the Director of Maternity Consultation Services in New York City in the 30s and 40s. Who better to turn to with questions about childbirth and motherhood? Manhattan Beach will be released on October 3rd. Spoiler alert: Meredith gets a mention in the acknowledgments!